With its ample power and a stable platform, the 735 is able to pick loads up to 20 t and carry them safely at optimum speeds. A 186 kW diesel engine and wide-stance undercarriage lets the 735 cover ground in wood yards at forward and reverse speeds up to 12 mph. 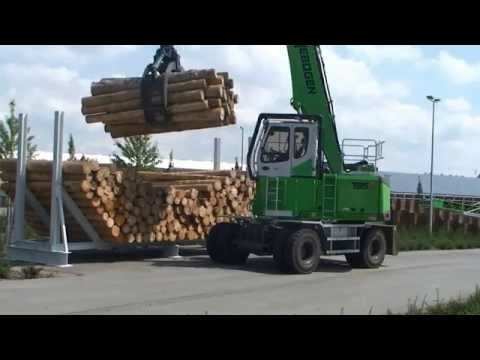 With all-wheel drive and two-axle steering, SENNEBOGEN pick & carry machines are specially designed to move wood efficiently through narrow lanes at mills and log yards.